Susan Askew – McGeady Becher P.C. Susan has worked in the legal field for more than 20 years, including as a legal assistant, legal analyst, and paralegal. She also previously served as a redevelopment coordinator for the Denver Urban Renewal Authority. 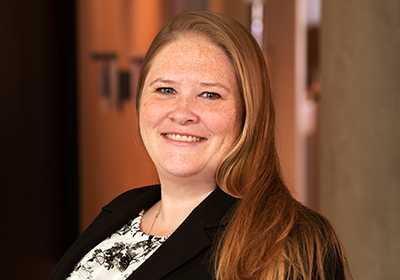 Susan joined McGeady Becher in 2018. As a paralegal at McGeady Becher, Susan works closely with the attorneys and clients of the firm on a wide range of special district functions, including assisting with district formations, coordinating district elections, preparing district meeting agendas, notifications and board minutes, monitoring compliance with filing deadlines and statutory requirements, and coordinating statutory filings with the Division of Local Affairs (DOLA) and other entities. Susan loves to be creative and runs an online bead business. She also enjoys experiencing the natural beauty of Colorado, spending time with her huskies, and attending concerts.